We’re excited that you’ve chosen to run the Horsetooth Half Marathon. If you’re new to the distance or you’re looking for company and motivation with your training, then consider joining the Fort Collins Running Club for some or all of your training. Outlined below are two training plans designed specifically for newer runners with Fort Collins, on-course training runs built into the programs. 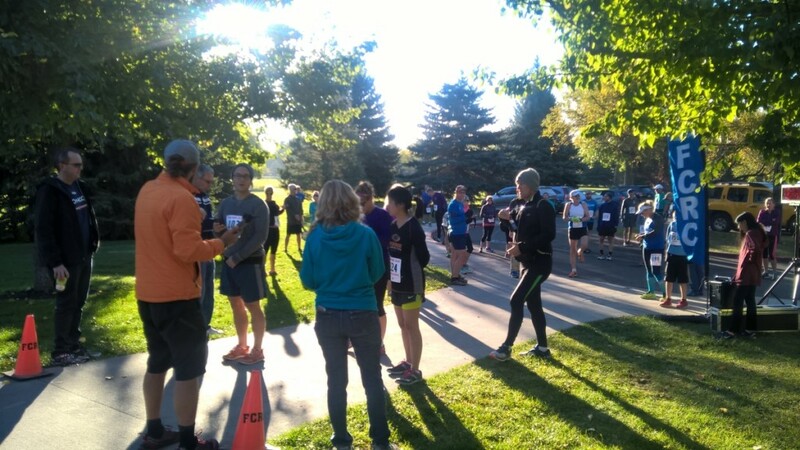 These training plans are offered through the RunningU program that the Club launched in 2015 to help beginner runners train for both the Horsetooth Half Marathon and the FireKracker 5k. The RunningU program is built around the Fort Collins Running Club’s Tortoise and Hare series, which runs from October to April, and a series of Sunday long runs that alternate between three locations: the race start by the former location of Hughes Stadium (to engage and train those uphill legs), New Belgium Brewery (because it’s a great place to finish a run), and the Rio Grande Mexican Restaurant (also a fantastic place to start and end a run). Runs from the race start will be out-and-backs on the opening hilly miles of the course, while runs from New Belgium and the Rio will be out-and-backs on the final flatter miles of the course. All organized Sunday runs will be supported with fluids at the turnaround points. Runs starting and finishing at New Belgium and the Rio will also include fluids at the finish with post-race drink specials and a chance to socialize and share training progress with your fellow half marathoners in training. We will also have sponsor giveaways and post-run presentations after the New Belgium and Rio runs. New this year, we are partnering with the Tuesday Night Track group to add an additional opportunity to train with a group to help you meet your Horsetooth Half goals. The group will be doing the workouts from the Intermediate Training Program on the appropriate Tuesdays. The TNT group is composed of and welcomes all abilities and paces. They will be meeting at 6:00pm every Tuesday. Check out the facebook page for details of upcoming workouts. Sunday training runs from New Belgium and the Rio will begin at 10:00am. All group training runs from Hughes and New Belgium are open to any and all runners. Tortoise & Hare races require a FCRC membership or $10 race fee. RunningU is a free program for FCRC members. Registered RunningU participants will get access to group communications and mentoring as they prepare for the Horsetooth Half. Jan 6: KICK OFF – 3-5 miles from New Belgium. Jan 27: 5-7 miles from the RIO Grande. Click the image to download the detailed 2019 training plans.